Jim just returned from a photography workshop in Cuba, just prior to the recent death of Fidel Castro which occured after this episode was taped. Don't miss the interview with pulitzer prize winning photographer, Essdras Suarez! In recent news, Adobe is developing technology to easily replace skies in photo images and make them look realistic. DxO has announced a full RAW processing workflow to its iPhone DxO ONE camera. Serif has announced the availability of Affinity Photo for Windows beta which everyone can download right now. GoPro is recalling its Karma drone after a few lost power during flight and is offering a Hero 5 camera to USA owners who return their drone. Canadian filmmakers were caught roaming the thermal area of the Prismatic spring and have pled not-guilty. DJI has released several new UAVs including an upgrade of the Phantom 4. 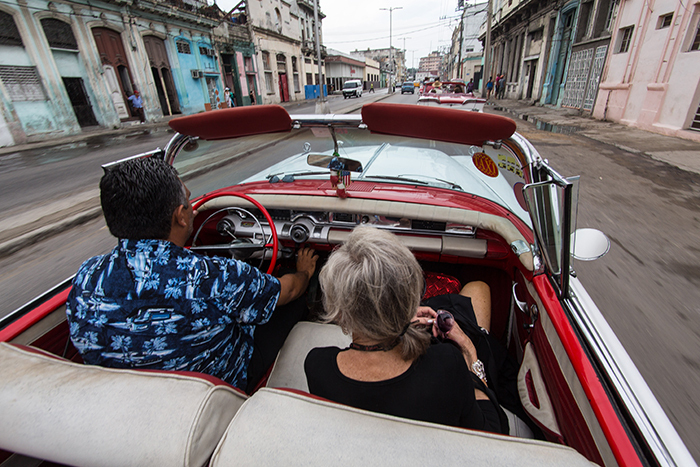 Jim just returned from Cuba and visited Havana, Cienfuegos and Trinidad. The workshop leader, Essdras Suarez, is a two time Pulitzer prize winning photographer who helped the group with street photography. In addition, Essdras is part of a group that have established a new online method to share photos and a method to improve your photographic skills. The IOS and Android app is Millioneyez and the website is www.millioneyez.com. Check it out and be sure to listen to the interview with Essdras! More coming in upcoming podcasts about Cuba! Jim also shows off the new Pulse from Alpine Labs and will do a full review in an upcoming podcast. This could make a great Christmas gift or stocking stuffer! Thanks for tuning into the next Fotobug podcast! In recent photo news, GoPro shows off a rig that controls 16 cameras to record mufti-angle footage for virtual reality uses, Google has announce a standalone service the separates the photo component of its Google Plus app and now available with unlimited free storage for 16MP and smaller images. GoPro has also introduced a new Hero+ camera with touchscreen and LCD for $299. Another new app, Kolektio aims to simplify the process of images from a party or other event. Five photographers have created the world's larges high resolution photograph by combining 70,000 digital images that were taken over a 35 hour period. Swedish company TTRobotix has introduced a remote controlled submarine that uses a GoPro camera to record underwater images up to 26 ft deep. Jim and Fred's guest this episode is Greg Horvath, from Alpine Labs. Greg is part of the Alpine Labs team that is developing the next generation of the Radian Time Lapse device. 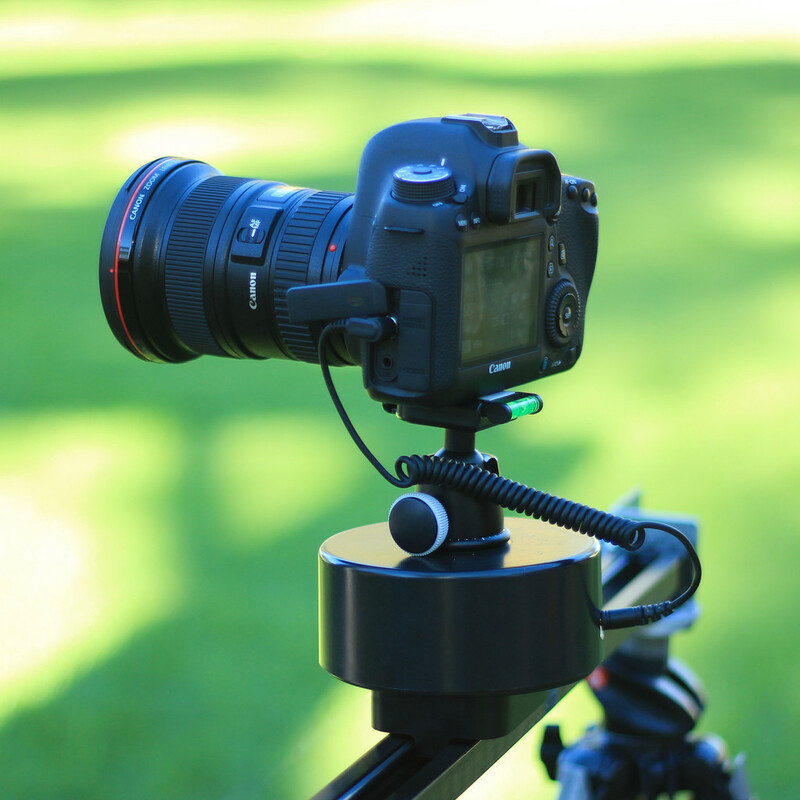 The Radian 2 is an updated version of the original Radian that allows the photographer to program the device from an android or IOS tablet or phone, and will then control a camera as well as tilt or rotate or even drive a slider! The Radian 2 is the most recent Kickstarter project from Alpine and is expected to be released this fall, possibly in September. The original Radian and Michron timelapse controllers are now available on the Alpine website at http://alpinelaboratories.com and are also available from leading photo retailers and Amazon. We will be following up with Greg after the new system has been released which promises blue tooth connectivity and more! Next time, Jim will be back from the Vanelli and Friends Photo Cruise with highlights and interviews with Vanelli, Vincent Versace and Mike Moats! Mark July 5th on your calendar - or better yet - subscribe via iTunes!